Headed out on another 7 hour trip today, glorious weather as we left the harbour this morning. 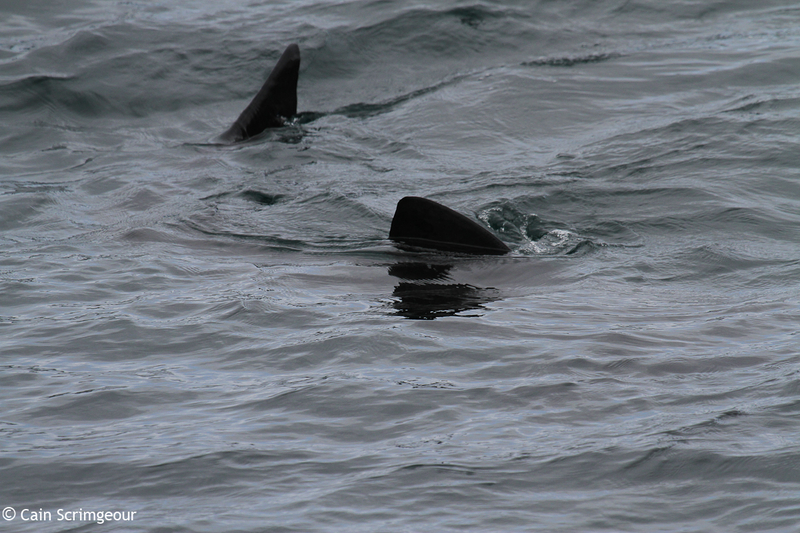 Up through the sound we picked up the usual birds, and Harbour Porpoise. It was a steady journey out into the Atlantic enjoying the rays, and the flat sea, with a few Guillemots and Razorbills attending to their chicks, when it all began. 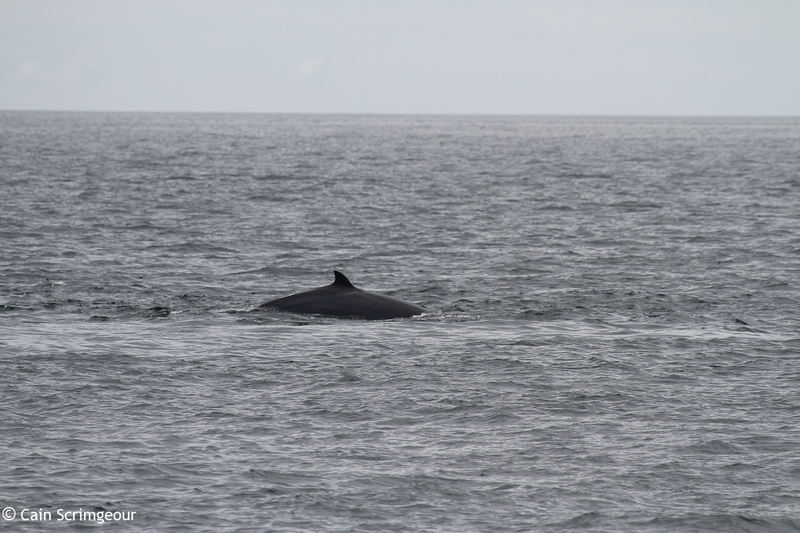 Out in the open water we picked up 2 separate Minke Whales, just heading through, moving at pace. 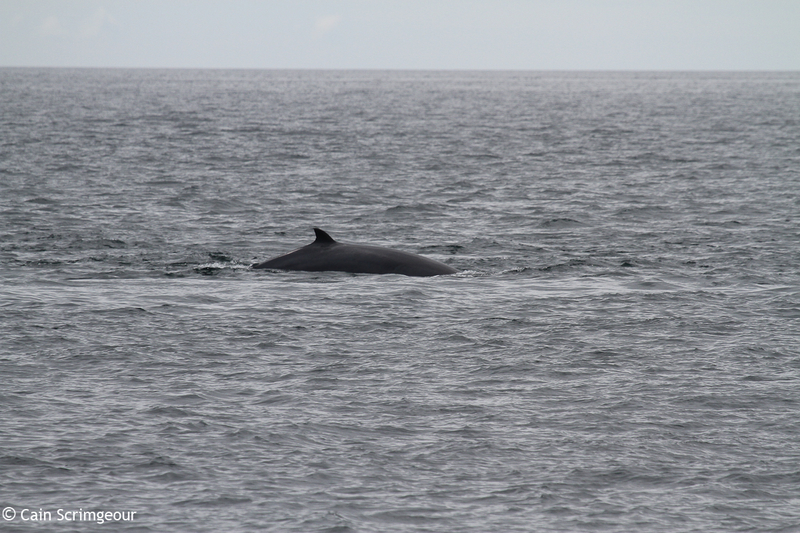 On reaching the Cairns another Minke was picked up in the usual tideline area, just off the 'Splasha' rock. 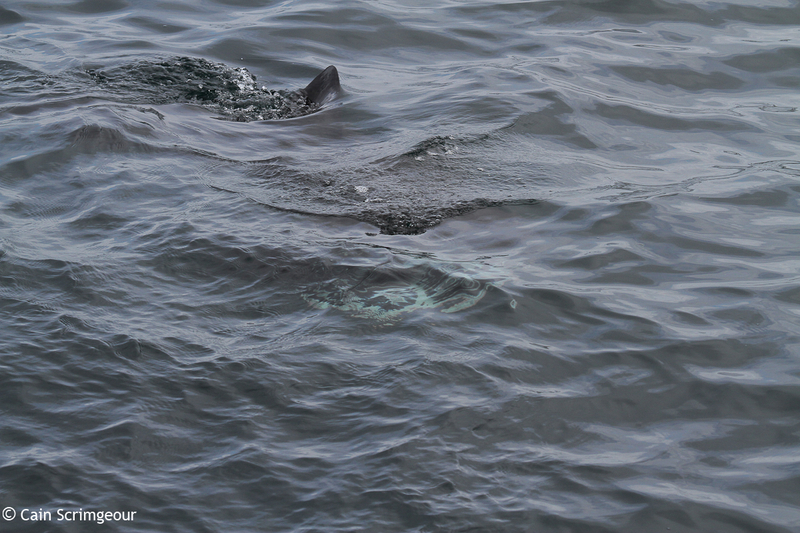 When we began heading into the Cairns for lunch, a Great Skua investigated the boat and a very small Basking Shark was picked up just off the shoreline. 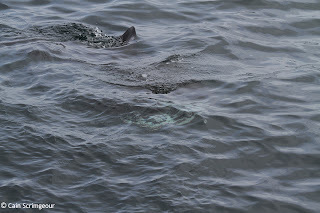 You can just see its gaping mouth on the image below, a polarised filter would have been ideal. 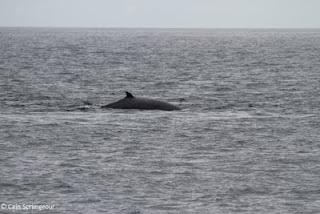 After lunch we headed back out, towards the Isle of Rum, Harbour Porpoise and another Basking Shark were seen as we left the Cairns. 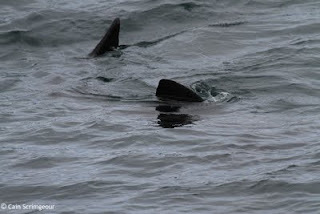 Out in the open ocean we all heard a large splash and turned round to see the aftermath of presumably a large Basking Shark breaching. 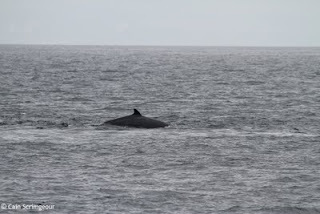 We were in new grounds for Pops, large numbers of Manx Shearwater, along with Kittiwake, Razorbill, Bridled, Common, and Black Guillemot. 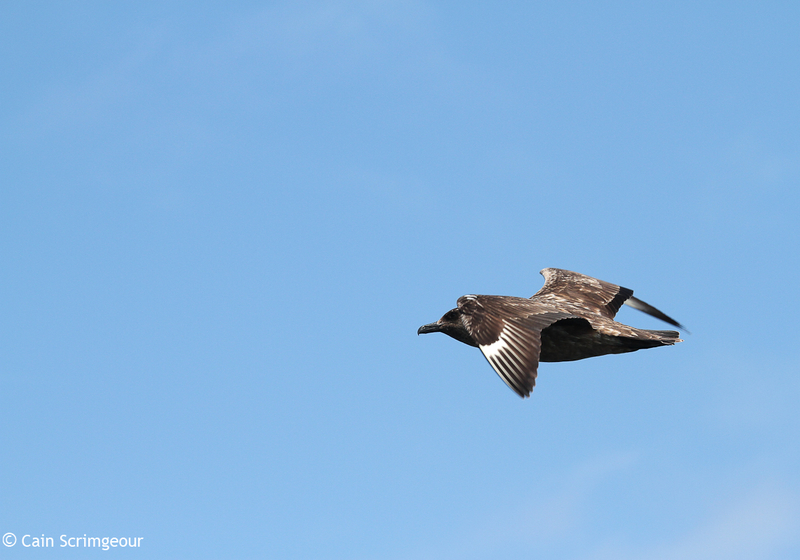 A Great Skua came around to investigate before heading over to harass some Kittiwakes. Although the best birds of the day had to be the 2 Storm Petrel which flew past the bow, a first for me. Out again tomorrow, I'm hoping for some Dolphins. Great stuff. I wish I was out on that water! Its unbelievable Brian, just craving some Dolphins now !